The Chinese Imperial Dog: Myth or New Rare Breed? This tiny dog is full grown and will stay small throughout his life. The Chinese Imperial is not a recognized dog by the AKC and in fact, there is tremendous controversy that follows these dogs and the debate continues in many canine circles such as the major kennel clubs, veterinarians, and other canine experts. We have listed it on this site because so many people are looking for “teacup” Shih Tzu that we feel it is important to visit both sides of this argument. Therefore, what is the Chinese Imperial and why such fierce debate? The AKC and the American Shih Tzu club claim that it is just a smaller version of the Shih Tzu. The standard for this breed states that the Shih Tzu should between 9 and 15 pounds. The Chinese Imperial enthusiasts insist that there is a unique Imperial gene making this dog a unique breed. Most people in this camp believe this small dog existed for centuries in China. Even from the earliest history, it was considered a different breed from the Shih Tzu. Shih Tzu fanciers or those who breed to the AKC standard believe that it was developed within the last 50 years as a way to dwarf down the size of Shih Tzu. They call it a “fad” or a “myth.” Whatever you believe, the CID is virtually identical to the Shih Tzu except for the size. The standard states that ideally, they should be between four and 7 pounds but never over 9 pounds and the height at the shoulders should be less than 9 inches. After 50 years, I personally would not call the Chinese Imperial a fad or a myth. Because of their body size, these dogs often look as if their head is larger but in reality, the head is still smaller than a normal sized Shih Tzu. Their noses are often shorter than some Shih Tzu, but other than that, they look like a miniature version of a Shih Tzu. Even the name is confusing. If you are in the market for a small Shih Tzu, you might see the terms Chinese Imperial, Miniature Shih Tzu, Teacup Shih Tzu, or even Tiny Toy Shih Tzu, all names describing a smaller version of the Shih Tzu, which would be less than 9 pounds. Any way you look at the breed, they are small making them ideal for apartment living. They do great in any setting. They have a big personality in a small body, so it is easy to spoil them making them prone to Small Dog Syndrome. They are less plentiful than the Shih Tzu, so expect to take some time to find the perfect puppy. Beware of breeders who claim that their dogs are tiny and will never get above a certain weight. This is something that cannot be predicted with 100% accuracy. Also, know that you are likely to pay more for these dogs than you might a Shih Tzu. 12 Week old Chinese Imperial Shih Tzu Puppy. Her adult weight was 6 pounds. Colors: All colors found in the Shih Tzu breed: Black, White, Chocolate, Gold, Red, Silver, Combinations of two and three different colors; Points can be black, liver, or blue. The ancient origins of breeds are difficult to confirm because much of what we know has not been accurately written into any records. We do know that there were small dogs living with ancient Chinese nobility. During this time, they were bred as companion dogs. These would have included the Shih Tzu, Lhasa Apso, Pug, and Pekingese. According to the Chinese Imperial Dog Club of America (CIDCA), these dogs date back to ancient China having been in existence for over 2000 years. They were originally bred and kept by the Chinese nobility. The Imperial Dog was called Imperial, Hah-Pah, and the solid colored imperials were called Chin Ssu Ha-Pah. Dowager Empress Cixi, one of China’s last monarchs was a dog fancier who kept small dogs. They often gave these dogs to other foreign dignitaries as gifts. Westerners were not aware that there was any difference between the smaller sized Chinese Imperial and the larger Shih Tzu; they placed both together as the modern day breeds emerged in England, Europe, Australia, and the United States. According to the CIDCA, there were purebred lines of Chinese Imperials in both the Netherlands and Australia. When they were imported into the U.S., the American Kennel Club recognized them as Shih Tzu. 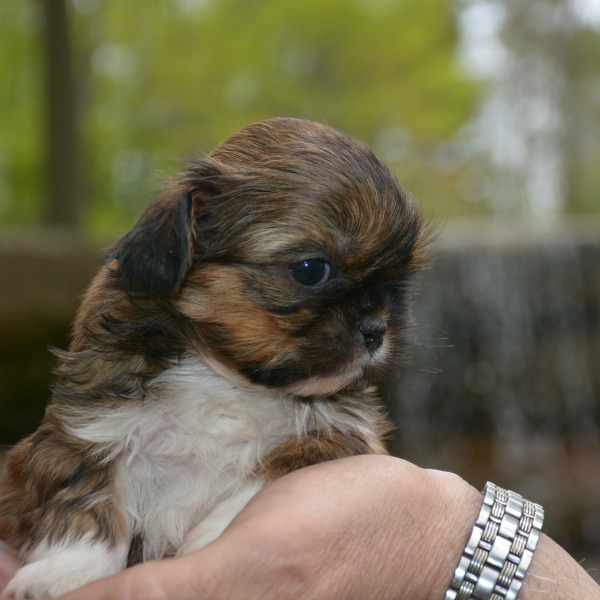 Sometimes the Chinese Imperial or Teacup Shih Tzu will be born smaller than the rest of the litter. There is another theory of the origins of Chinese Imperial. According to this notion, the Chinese Imperial Dog dates back to about the 1960s. During the period, the Shih Tzu was gaining popularity in the United States. As with other small breed dogs, there are breeders who prefer small and will work towards reducing the size of a breed. After many generations, the smaller size becomes part of the genes. 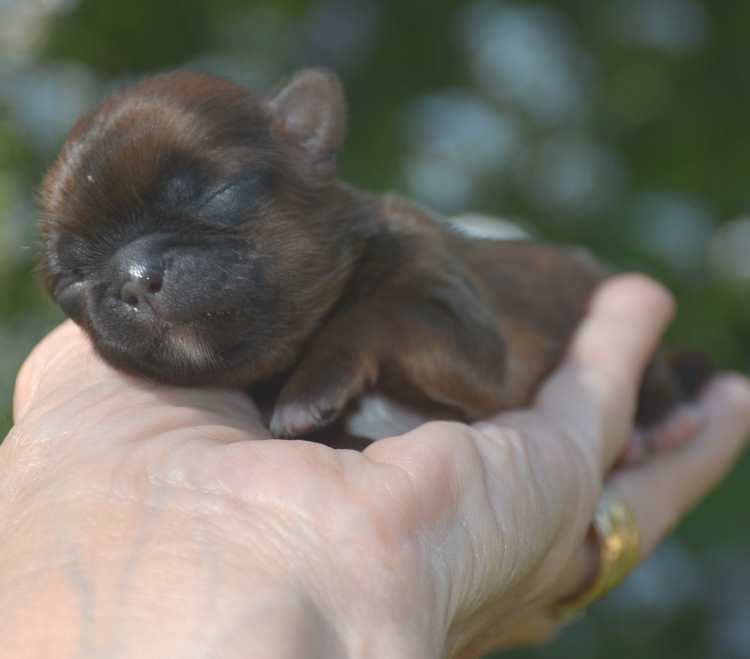 This type of breeding is not unique to the Shih Tzu but has been in practice with many other breeds including Yorkshire Terriers, Poodles, and Chihuahua. You might hear veterinarians refer to this as dwarfing down of the breed. By the late 1980s and 1990s, the terms “Teacup,” “Mini,” “Tiny Toys” began to emerge to describe the smaller sized Shih Tzu. 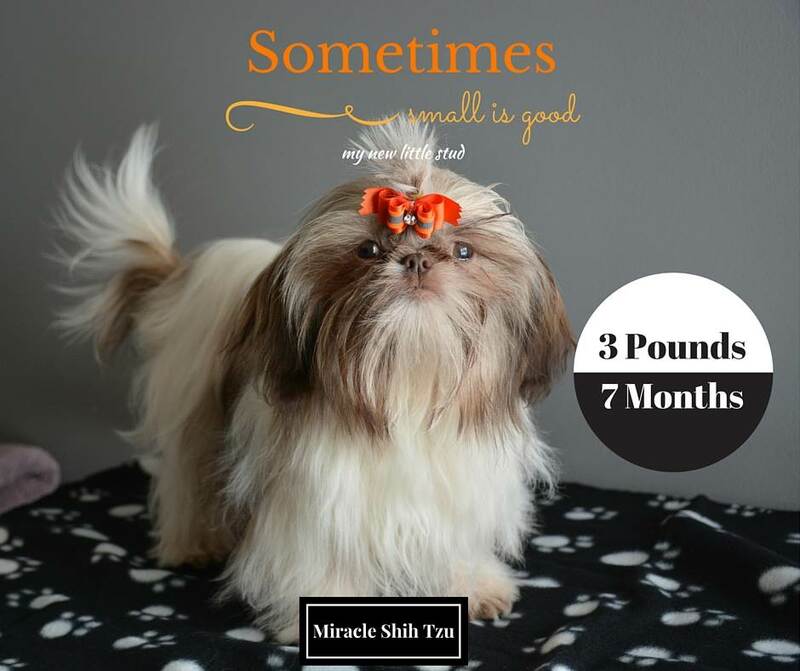 The American Shih Tzu Club, alarmed at what was happening to the breed, came out with statements confirming the breed’s standard height and weight requirements. The ASTC attacked breeders who produced the smaller versions of the breed stating they were unethical and penalized or disqualified the smaller sized dogs in show rings. They maintained that the smaller sized Shih Tzu was less healthy and the breeders of these dogs were only profit hungry. Other major kennel clubs followed the lead of the ASTC. There was no doubt that financial issues played a big part because smaller sized dogs sold for much higher prices then and even today. By 2000, breeders who were producing the smaller sized Shih Tzu broke away from the ASTC and formed the CIDCA. The first breed club to recognize the Chinese Imperial was the National Canine Association (NCA) and then others followed suit. In 2008, the Chinese Imperial Dog Registry of America (CIDRA) was formed to maintain the official studbook. There is virtually no difference in temperament between the Chinese Imperial and that of the Shih Tzu. They are playful, loving, and extremely loyal to their owners. It would be impossible to tell the Shih Tzu and Chinese Imperial apart based on personality. They want to please and training if done early and with positive methods can be very effective. They do have a stubborn streak, a “what’s in it for me,” attitude so finding a way to coax them into doing what you need them to do can be a little tricky. Creativity on the part of the owner is usually needed for very stubborn dogs. 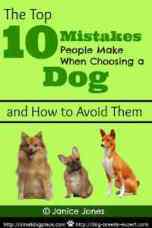 As with many small dogs, housebreaking can be difficult. With these tiny dogs, many owners opt to use an indoor potty system. They are not known to be a yappy type dog, but will bark to alert you if someone is approach, therefore they make great watchdogs. If you are looking for a lightweight lap dog, a puppy to keep your feet warm, or just a loving companion to snuggle up with, this could be the dog for you. They are not lazy, though, so expect them to be playful, sometimes running around like crazy indoors, or out, and they do enjoy a daily walk. The dogs are very sweet and gentle and would be fine around children. However, do to their small size and delicate nature; it would be better if these dogs lived in families with older children. There is much upkeep to these dogs, but the good news is that Chinese Imperial Dog owners keep their coats trimmed making it easier to groom. The CID has a double coat like the Shih Tzu with a thick outer coat and soft under coat. This is what makes them so cute, but it is also makes them very hot. These dogs do best in cooler climates. In the summer time, they need the help of air conditioning indoors. While no breed is completely hypoallergenic, many people with allergies can live comfortably with this breed. Shedding is done into the coat rather than on the furniture. Daily brushing and combing will keep the coat mat free and often any dirt or debris that lands on the coat can be brushed out. A misting of conditioner prior to brushing is necessary to keep hairs from breaking. As a longhaired breed, they also need to be trimmed regularly about every 6 to 8 weeks to keep them looking their best. If a professional groomer is used, they will clip the hair between the footpads, remove hairs from the ears, and clip the nails. Most Chinese Imperials will need a bath between grooming and some will bathe their dogs as frequently as every week. Generally, a bath about every 3 weeks is plenty unless the dog gets very dirty in the meantime. Don't forget teeth brushing--little guys need their teeth brushed too! It is difficult to find any information about the health status of these dogs other than what is known about the Shih Tzu. Part of the debate among the Chinese Imperial Dog breeders and the ASTC involve health issues. The ASTC maintains that the CID is very unhealthy and the CIDCA states their dogs are very healthy. It is difficult to know what to think about the health status of these dogs. The veterinary profession is likely to agree with the ASTC based on their previous experiences with other teacup-sized dogs. The list of conditions below is found in the Shih Tzu and is a likely source of potential problems in the Chinese Imperial. In addition, due to their small size, injury can occur so you must protect them from themselves at times. 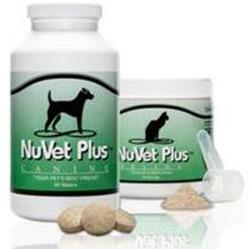 Skeletal problems can be an issue such as hip dysplasia, elbow problems, and patellar luxation. While none of these problems is life threatening, they can cause discomfort and may require lifetime support or surgery.